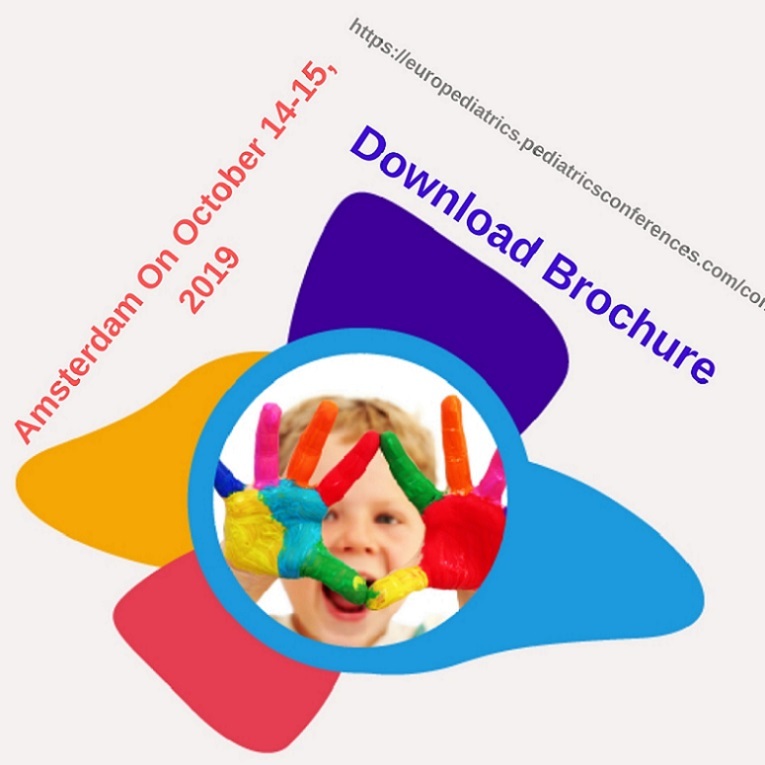 The aim of the study of pediatrics is to reduce infant and child rate of deaths, control the spread of infectious disease, promote healthy lifestyles for a long disease-free life and help ease the problems of children and adolescents. It can be acknowledged that this can be reached by learning the major and primary subject on General Pediatrics. The most remarkable problems can be due to nutritional insufficiency to the overall health of infants and children because growth and development can be seriously hindered by shortages in essential vitamins or nutrients. Neonatology is a subspecialty of pediatrics that consists of the intensive care of newborn infants, especially premature newborn. It is a hospital-based specialty, and is usually practiced in neonatal intensive care units(NICUs). Neonatologist is trained particularly to handle the most complex and high-risk situations. Perinatology is a sub-branch of Obstetrics. It is meant for mother-fetus at higher than normal risk. It deals with the complications in child development during pregnancy. It starts at 20th to 28th week of gestation and ends 1 to 4 weeks after birth. Perinatologist work very closely with neonatologist after a child’s birth. Perinatologists assist in complications like pre-existing health concerns and complications caused by pregnancy. Attention deficit hyperactivity disorder (ADHD) is a mental nerve development disorder. It usually affects children before the age of 12 and the symptoms can persist for more than 6 months. It affects boys and girls equally i.e. it is not gender biased. The Symptoms in of ADHD in girls can vary from boys. ADHD is characterized by problems paying attention, excessive activity or difficulty controlling behavior for a particular age. In order for ADHD to be present, it must cause significant problem in at at least two settings (e.g. social, school or work, home). By 2015, 51.1 million people have been diagnosed with ADHD. Autism is a highly variable neurodevelopment disorder that may occur during infancy or childhood. Autistic children show less response to social stimuli. They often prefer to be alone and smile or make very less eye contact compared to normal children of their age. Autistic children usually have poor motor skills. The respond to social stimuli very less and even if they do, they do it non- verbally. They also exhibit repetitive behavior most often to overcome anxiety. Autism spectrum disorder (ASD) children lack joint attention which distinguishes them from normal children. They tend to speak in reverse pronouns or simply repeat what one has said. Autism is a highly heritable condition. Though the reasons are not known completely but ASD is explained by rare mutation, environmental and epigenetic factors. 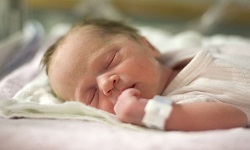 Birth of a baby at or fewer than 37 weeks of gestation age and are known as preemies or premmies. Though the accurate reason of preterm-birth is unknown, some of the risk factors include, diabetes, high blood pressure, being pregnant with more than one baby, vaginal infection, and psychological stress, tobacco smoking, obese or underweight. Babies born before 25 weeks of gestation age do not survive. Even if they do, they do with neural impairment for life. In case of a premature birth, the baby is kept in NICU (Neonatal Intensive Care Unit) if the baby’s health is critically unstable. If the conditions are somewhat better, the mother is asked to keep the baby warm through skin to skin contact. Breast feeding is a very crucial part for the child’s survival. Since in babies the lungs are the last organs to develop, they are given breathing support. Sometimes surfactants are used help the breathing process. Corticosteroids have also been helpful in maturation of the premature baby. The survival % is highest at 72% at 25 weeks, 55% at 24 weeks, 26% at 23 weeks and about 6% at 22 weeks. Neonatal intensive care unit (NICU) is a specialized ICU which takes care of premature babies. The NICU not only have specialized equipment but also has specially trained nurses to take care of such babies. The NICU have a come long way in their development since their introduction in the 1960s. The NICU consists of 3 levels of care. Level 1 care contains neonates weighing more than 1800grams or with gestational age of 34weeks or more. The care consists of basic care at birth, promotion of breast feed, maintaining asepsis and provision of warmth. Level 2 contains neonates weighing 1200-1800 grams or having gestational maturity of 30-34 weeks. This level houses equipment for resuscitation, gavage feeding, phototherapy, blood transfusion, maintenance of thermo neutral environment. Level 3 contains neonates weighing less than 1200 grams or having gestational maturity of less than 30 weeks. Such NICUs contain servo-controlled incubators, centralized oxygen, vital signs monitors, transcutaneous monitors etc. For a neonate, mother’s milk is the best nutrition which he can get. Hence, breastfeeding becomes an important part of the diet for the child’s proper growth. Mother’s milk has such nutrition which even the baby food fed as a supplement to mother’s milk cannot provide. Even still breastfeeding is recommended up to 6 months of age. After 6-24 months they must be fed with “complementary food” since after 6 months of age, the milk alone is not sufficient for the child. Malnutrition due to negligence to diet during this period of growth can be very difficult to reverse. The lack of complementary feeding is the major cause of high rates of under-nutrition in children under 5 years of age. By the age child reaches adolescence, their growth is still accelerated and their caloric demands are higher than normal. For boys, the caloric needs are higher than that of girls of the same age due to metabolic differences. Infants and Children by the age of 21 have a growing and changing body. Due to this they nutritional needs keeps changing with their age and development of the body. A pediatric nutritionist looks after the dietary needs of infants as well as adolescents. During the prenatal stage, the growth depends completely on the mother’s nutrition. In the postnatal period, the need of proteins is the most because of the rapid increase in height and weight. Though the growth occurs in spurts, 55% of the energy of the child is spent in metabolic maintenance, 25% on activity, 12% on growth, and 8% on excretion. The chances of malnutrition are the highest due bad eating habits, emotional factors, peer pressure and selective eating habits. Such malnutrition can lead to anemia from iron deficiency or scurvy from vitamin c deficiency. A pediatric nurse or a nutritionist needs to make sure that the parents are given the right knowledge about the dietary needs of their growing child. However, overfeeding in early childhood can lead to obesity or hypervitaminosis. A pediatric immunologist treats allergies and other immune system in children. In case of pediatric allergies, the most types of them are from pet dander, pollen dust, mold spores, dust, insect stings, food (e.g. peanut butter allergy). A pediatric allergist treats these unusual behaviors of a child’s immune system towards harmless particles. Such are the cases of hypersensitive immune system. In case a child’s immune system is not working properly, he may suffer from frequent and uncommon infections. Some of them are sinusitis, pneumonia, thrush and abscesses that keep coming back. Infectious diseases and immunology go hand in hand. A poor immune system leads to more susceptibility towards infectious diseases. Such infection include sinusitis (inflammation of one of the sinuses), thrush (a fungus infection in the mouth), pneumonia (infection of the lung), and abscesses (collection of the pus surrounded by inflamed tissue). 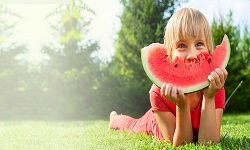 Pediatric allergies are the most common form of ailment which children suffer. Allergies can be caused by several factors such as food (e.g., peanut butter allergies), dust, cold, pollen etc. Some of the most common childhood allergy includes hay fever (allergic rhinitis). It causes itchy, watery red eyes, runny nose and chronic ear problems. Ear infection due to accumulation of fluid in the ear can lead to poor speech development in children. They also cause ear aches, itching, popping and fullness. Food allergies are also very common affecting almost 6 million children in United States alone. In some special cases an infant can have allergy to their mother’s milk due to the mother’s diet. In such cases, the food to which the baby is allergic to must be eliminated from the mother’s diet. In case a child a severe allergy to peanuts, the school authorities must be informed about it from beforehand. Such children must always carry anti-allergic remedies. Respiratory disorders are also one of the most prevalent ailments in infancy. It is so common that ¼ of primary care consultation among children relate to respiratory complaints. Bronchiolitis is the inflammation of the very small airways (bronchioles) due to a viral infection. Children under 1 year of age are mostly affected by it. It is caused by Respiratory syncytial virus (RSV) infection. Chronic lung disease (CLD) is caused by pre-mature birth. It is a complication in pre-mature birth in which the infant is still oxygen depended at 36 post-menstrual weeks. This is a long term disease, in which the child has trouble breathing, chronic productive cough, compromised lung function even after 12 months of birth. Till date, no medication has been developed to completely cure CLD and help the development of lung of such children. Community-acquired pneumonia (CAP) is most prevalent in developing countries than in developed countries. About 151 million children < 5 years fall ill due to CAP in developing countries. The reasons are numerous which include crowding, malnutrition, low effectiveness of immunization, pre-existing HIV infection, low birth weight etc. Tuberculosis in children has been overlooked for decades. The resistance to Mycobacterium tuberculosis determines the outcome of the infection. Children have a lower resistance to the bacteria compared to adults. Thus children and infants below 2 years to age even with low bacterial load. It was specially seen that the Eastern Europe is affected by tuberculosis and CLD more than the Western Europe though the reasons are unknown. It is the nursing of the new born baby with the mother’s milk just after an hour of the birth of the child. It is suggested to breast feed a neonate for at least six months of age after which complementary feeding is recommended. Mother’s milk has sufficient nutrients for the growing neonate and only Vitamin D supplement are given to the child. In the beginning, the mother’s milk is called colostrum. It has a laxative which helps in the digestion process and helps prevent jaundice by helping to pass excess bilirubin. The composition of the mother’s milk keeps changing depending on the duration of feeding session and age of the baby. In the later stages, the milk becomes thick since contains more fat required for the growth for the baby. Mother’s milk contains antibody IgA which attacks germs in the mucous membranes of the throat, intestine and lungs. In order to initiate breast-feeding of a child, skin-to-skin contact (kangaroo care) between mother and child is an important process. Any interruption during the first feed of the child can lead to disinterest in breast feed of the child. Neonates when placed on the mother’s stomach, they tend to crawl towards the mother’s breast; this is known as “breast crawl”. Some neonates would keep latching on to the breast even after they have finished feeding. This is known as latching and often misunderstood as disinterest in feeding. It actually is an important process to develop the mother-child relationship. Pediatric Cardiologists treat congenital cardiac and cardiovascular abnormalities. They not only treat neonates and fetuses but also adolescents and young adults. These cardiologist have a wide scope of application including Intensive Cardiac Care, Cardiac Catherization, Imaging, Fetal Cardiology etc. They also have their field of application in congenital heart defects, heart muscle disorders, rhythm disturbances, hypertension, and other systemic disorders. Tetralogy of Fallot is a ventricular septal defect along with overriding aorta. These two defects cause the deoxygenated bypass the lungs and enter the circulatory system leading to blue baby syndrome. It happens in 1-3 cases per 1000 births. Pulmonary Atresia is a case in which aorta branches out of the right ventricle. This causes the deoxygenated blood to enter the circulatory system while bypassing the lungs. It occurs in 7-8 cases per 1000 births. Transposition of Great Arteries can be Levo-transposition or Dextro-transposition depending on the chamber and vessel connects. Dextro-transposition happens when the right ventricle pumps blood into the aorta and deoxygenated blood enters the blood stream. This occurs in every 1 in 4000 births. A pediatric hematologist/ Oncologist treats the diseases related to blood and cancer in neonates and adolescents through to adulthood. Hematologists not only deal with blood related disease but also with blood processing organs too such as spleen, bone marrow, etc. They treat cancers including lymphomas, brain tumors, leukemia, bone tumor and solid tumor. They also treat blood related disease like disorders in WBCs, RBCs and platelets. The needs of children or teens are different from that of adults. Since they are growing, the need special care. Since they are immature, they always cannot answer medical questions and are impatient and non-cooperative. Hence such people know how to deal with such patients. Pediatric surgery is specialization in surgery involving children, infants, adolescents and young adults. They generally deal with birth defects and surgeries required for congenital malformation, lymphangioma, necrotizing enterocolitis, undescended testis etc. Pediatric surgery has subspeciality which includes, neonatal surgery and fetal surgery. Pediatric surgery requires further training during residency and fellowship. Other types of surgeries include pediatric cardiothoracic, pediatric nephrological surgery, pediatric neurosurgery, pediatric urological surgery and pediatric oncological surgery etc. Common pediatric diseases that require surgery are congenital malformation such as necrotizing enterocolotis, cleft lip and palate, abdominal wall defects such as hernias, gastroschisis, chest wall deformties such as pectus excavatum, separation of conjoined twins, childhood tumors like neuroblastoma, wills tumor, liver tumor, etc. Fetal surgery generally deals to treat birth defects in fetuses who are still in the pregnant uterus. It can either be open fetal surgery, minimal invasive fetoscopic surgery or percutaneous fetal therapy. Due to fetal surgery many birth defects which were impossible to treat before can easily cured fully. However, this increases the risk for both mother and child because the delivery of the baby will require a second Cesarean section days or weeks later i.e. even before the wound is fully healed. Physical health is an important aspect of any child’s life. The symptoms of being physically unfit or well is easily noticed and treated. Unlike physical health, mental health and the problems related to it is often neglected. If a child behaves in an aggressive way or is not behaving in a way a child should, he is often shunned and mistreated. Any child who does not fit into the societal norms of being normal is often bullied. If an overweight child is teased about his weight, he will socially withdraw. He would be reluctant to make friends, exercise or participate in any social activity. This will lead low self-esteem, depression and low levels of confidence in the child. This will not only hamper his performance at school but also take a toll on his physical health. Children with mental disorders often take the road to substance abuse. A child with an abusive father at home often has a struggling adulthood. By the time his diagnosis about the mental health is done, he doesn’t have sufficient money to pay for his treatment. Around 15 million people are currently diagnosed with mental health disorder. Sadly only 7% of these youth receive the appropriate treatment required for it. Thus psychologists have an important role in play here for better mental health of the young generation. Vaccine is the delivery of killed or weakened viruses or bacteria to the host body so that the host’s immunity develops immunity towards them without actually causing the disease. The resistance which one’s body develops after the vaccination is known as immunization. Mumps can cause serious complications including hearing loss, encephalitis, infection of the ovary, serious infection of the testicles, etc. MMR vaccine is given to children who are 18 months old. 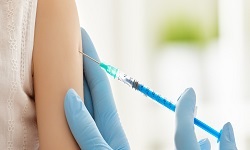 Influenza vaccine develops immunization for flu. Each year, the vaccine is changing as new strains are introduced; the vaccine is changed and updated. This is very important to protect ourselves from new evolved strains of the flu. Tetanus vaccine protects against the toxin which produces lock jaw. It is usually found in the manure or soil. It affects the nerves in your brain and can sometimes be fatal. A combined vaccine to all children at 6 weeks to 2 months and again 4 months to 6 months is given. Two booster doses were given at 18 months to 4 years and 11 years to 13 years. Whooping cough vaccine is given a combined injection. Since the body’s immunity towards the disease reduces with time (6-10years), a booster dose is required to strengthen the body’s immunity. Rabies is caused by viruses. A more closely related disease is Australian bat lyssavirus (ABLV). Rabies and ABLV spread through the saliva and symptoms appear usually 3-8 weeks after being infected. Once infected, rabies has no cure. The only possible treatment is prevention of the disease by taking rabies vaccine. Pediatric emergency includes cases in which the condition of the infant, child, teen or young adult is very critical or life threatening and requires immediate attention to save his life. Since children always have a unique need especially in case of medical emergencies, pediatric emergency doctors are given special training to handle such situation. The reason for such emergencies can be numerous which includes persistent high fever of more than 104F, breathing difficulties in case of severe asthma, not breathing at all, seizures or convulsions caused by high fever or epilepsy. Sudden Infant Death Syndrome is also considered medical emergency. The cause for this syndrome is yet unknown and the best way to avoid it is let the baby sleep alone, use a crib with soft bedding and avoid smoking or other harm causing substances during pregnancy. Any physical, sexual or psychological maltreatment or neglect of a child by a parent or caregiver is known as child abuse or child maltreatment. Physical abuse is causing any non-accidental or intentional injury to a child. Sexual abuse is when an adult uses a child for sexual gratification or uses him for sexual acts. Emotional abuse is when a child’s mental or social development or cause severe emotional harm. Most emotional abuse is caused by a pattern of behavior and is often repetitive. Apart from the above types of abuse, neglecting a child from its basic support needed for a child’s health, safety and wellbeing such as inadequate supervision, emotional neglect, medical neglect or educational neglect come under child neglect. Since charity begins at home, the act to prevent child abuse has to start at home as well. The following steps must be followed. One should never discipline a child when you are angry. You must get to know your child’s friend and participate in your child’s activity. They must be taught to raise their voice to prevent them from abuse in their own life. If your child doesn’t want to stay with someone or go to a certain place, do not ignore this red flag. It is also important to notice sudden change in your child’s behavior since it could also be a sign of ongoing child abuse. A child must also be taught what to do in case he becomes separated from parents away from home. They must be taught correct names of their body parts. It is very important to pay attention to lookout for people who take more than normal interest in your child. The last point is the child’s school should release your child to you or someone you officially designate. In any form of medical treatment, it requires human intervention to cure or treat a disease. After a certain degree of intervention, in order of the disease to cure completely and for the body to return to normal functioning, there comes a stage where medicines can no longer help and the body needs to return to its normal stage naturally. This is where rehabilitation programs come in play. Pediatric rehabilitation programs are the same deal but only involve children and adolescents. Rehabilitation is also about, reaching the maximum potential of a child, and support of the family. Rehabilitation includes challenges like development delays, injury, illness or disabilities. Rehabilitation includes several ranges of diseases which it can cure. They include, autism spectrum disorder, cerebral palsy, developmental delay, Down syndrome, neurological condition, post-surgical rehabilitation, sports injuries, brain injury, etc. The technologies included for facilitation of recovery of the children include assistive technology clinic, audiology, augmentative and alternative communication, feeding and nutrition program, neuropsychology, wheelchair and equipment clinics, Sensory Integration Praxix Testing (SIPT).